We're Here To Help.org » Act Quickly! Sacramento Real Estate Prices on the Rise! Act Quickly! 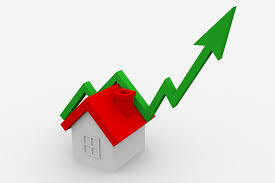 Sacramento Real Estate Prices on the Rise! Over the course of the past few months, Sacramento home prices have started rising twice as fast as the national average! They are rising even faster than the pace set during much of the last housing boom. The median home price in Sacramento County grew by 22.4 percent, in the time period between January 2012 and January 2013. That’s the second-largest January-to-January Sacramento County home price increase in the last two decades. The last time this happened, it was the 2005 peak of the housing boom. For the last few decades, Sacramento County has endured successive real estate booms and busts, each one larger every time. It seems as though another boom is upon us. Nevertheless, certain real estate experts have argued previously that another boom isn’t likely for awhile, given tight lending and a very slow economic recovery. They may still be proven right; only time will tell. Despite the fast growth in prices, most homes in the Sacramento County still sell for 50 percent cheaper than they did during the highest point of the last housing boom. But, if home prices increase at this pace for much longer, what does this mean for Sacramento homeowners? It means that it’s a good time to sell! While prices are high, it is the best time to sell your home and upgrade to a better one. So there you have it: short and sweet. Happy Friday! This entry was posted on Friday, October 4th, 2013 at 2:38 pm	and is filed under Sacramento Short Sale and Sacramento Foreclosure News. You can follow any responses to this entry through the RSS 2.0 feed. Both comments and pings are currently closed.